For employees in some industries, simply coming into work can be risky business. For office workers, it’s not dangerous manual labour that poses a threat, it’s their own bathroom habits, a new survey has found. After using the toilet, your hand has a bacterial count of 200 million per square inch. Yet according to a survey by Initial, 16% of office workers say they don’t wash their hands at all after using the workplace bathroom. A further 25% indicated they wash them for less than 10 seconds. Before you conclude the research is good news as it shows the majority of employees do wash their hands, there’s more. A third of the 5,000 office workers surveyed worldwide indicate they use their smartphone while in the office bathroom, mainly to use Facebook (55%), WhatsApp (43%), or read or browse online (40%). 13% indicated they use their bathroom time to play Candy Crush, while 11% prefers to play Pokemon Go. Although a toilet cubicle might seem like the perfect place to spend a quiet, uninterrupted moment with your phone, the habit actually poses a major concern about the spread of germs and disease in the office. Leading hygiene expert Dr Lisa Ackerley agrees. Commenting on the findings on Intial’s blog, she explained that germs are easily transferred from unwashed hands to objects that are routinely used throughout the day. She added: “When workers wipe and then resume playing with their phones or simply pick them up before washing their hands, their phones become a fantastic reservoir for germs such as bacteria and viruses which will re-contaminate even washed hands meaning germs can be easily passed around office”. By failing to wash their hands, employees will go on to spread the germs they picked up in the bathroom around the office, from door handles, to pens, to phones, and even food for those employees who eat at their desk. Since offices are shared spaces, even those employees who diligently wash their hands and don’t take their phone into the bathroom run the risk of picking up someone else’s bathroom germs. 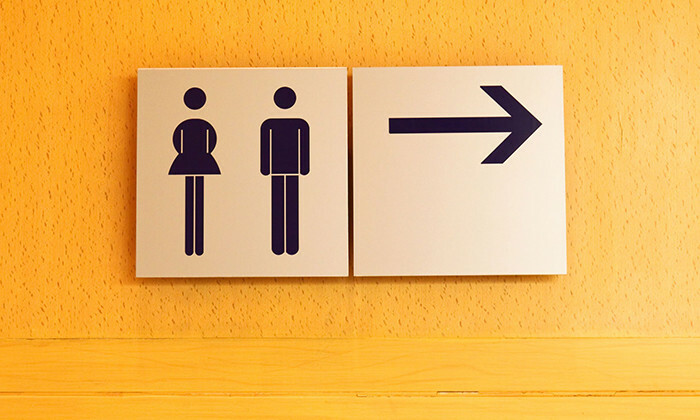 Companies who want to go the extra mile to ensure hygiene in the office could consider employing a bathroom attendant, since 31% of employees admit that they’re more likely to wash their hands if someone is watching.